Inhost MK Review 2019: Is Inhost MK a Good Hosting? Macedonian hosting provider INHOST offers SSD-based hosting plans. Since its lower plans lack features, you’ll have to upgrade to make the most of this experienced host. Macedonian website hosting provider INHOST was founded in 2002. It currently boasts more than 4800 hosted web pages, 6000 registered domains, and 7300 customers. The INHOST website is available only in Macedonian. The shared hosting plans use SSD storage (for data read/write speeds up to ten times faster than HDD) in RAID 10 configuration (so that your data is duplicated to guard against disk failure). Expert website owners benefit from all the usual scripting and databases features such as FTP access, MySQL databases, and a PHP selector (not included in the base plan). Beginners will be pleased to see cPanel as the control panel, a one-click installer for more than 300 programs, and website building tool (which is not included in the base plan). Shared hosting plans give you “99.9% network stability” whereas cloud hosting plans benefit from a “99.9% uptime guarantee.” These different wordings may well mean exactly the same thing. INHOST’s prices are in line with similar shared hosting companies. Shared hosting plans are only available on one-year terms, and (unlike dedicated server plans) you don’t get the money-back guarantee that would get you out within the first month if anything went wrong. One of my bugbears when purchasing shared hosting is being up-sold additional services at the checkout; especially ‘support’ which I think should be free. In this case, you are up-sold an SSL certificate and priority support at the checkout. 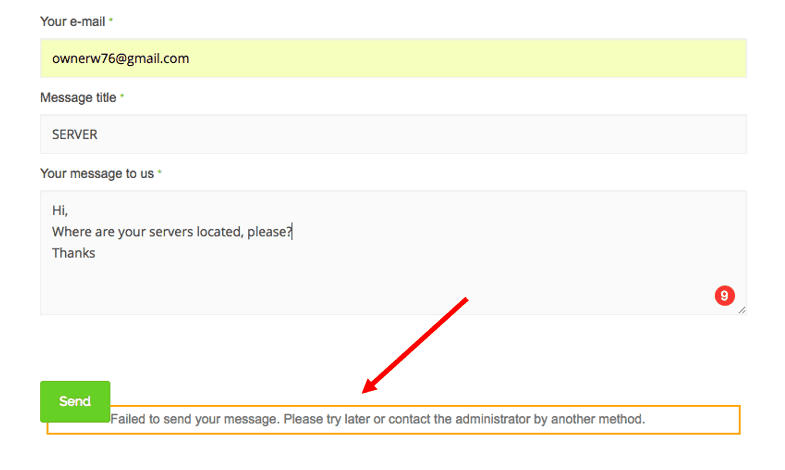 Since I couldn’t get the contact form to work, I sent an email instead; and received no reply. Although this provider’s website includes links to live chat (in the header) and tutorials (in the footer), none of these links were operational when I tried. It is possible to access a knowledge base if you first navigate to the client area, for example by clicking the ‘Promotions’ link, but it contains only 21 articles (all in Macedonian). INHOST has been providing website hosting with SSD storage since 2002. Its lower tier plans don’t include many value-added features, so you need to upgrade to a top-tier plan for PHP support or a website building tool. Make the most of your Macedonian hosting with Inhost MK! Wondering how Inhost MK stacks up against other Web Hosting companies? Enter any other Web Hosting company and we will give you a side-by-side comparison.